I’m not sure if this is a pair of cat’s eye. My daughter made this using her Bamboo Pen and Touch. 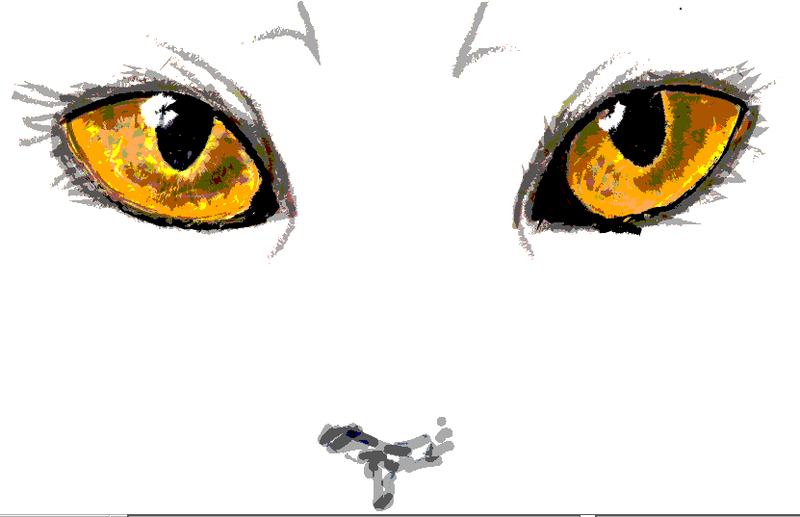 This entry was posted in Digital Art and tagged cat's eyes on November 4, 2013 by Yami. I see you too.. hehehe have a great weekdays ahead and I hope you can also drop by at my site as you got spare time thou. Thanks! Have a great week ahead! O hayan, I comment back. 😀 Di ako maka-relate sa fashion of today’s generation hehe.